6:34 PMPARK CITY, UTAH — Tomorrow is a big day for Tonya Lewis Lee and her team: The Jan. 22 premiere of Monster happens at the Sundance Film Festival, and it’s one of the most anticipated films in Park City. That makes her nervous — “It’s like [people] haven’t seen the movie yet! How do [they] know? !” — but it most certainly also makes her feel good. Monster is a film that she’s been hoping to get made for a dozen years. There have been a bunch of starts and stops, and finally, here we are. The cast is stellar: Oscar winner Jennifer Hudson, A$AP Rocky, Nas and Kelvin Harrison Jr. are all part of the film, and it’s helmed by Anthony Mandler in his directorial debut. Mandler is best known for his frequent video collaborations with Rihanna, and he has also collaborated on video projects with Jay-Z, Beyoncé, Usher and Lana Del Rey, among many others. The script is based on the novel of the same name by Walter Dean Myers and was written for the screen by Hampton University’s own Colen C. Wiley and award-winning playwright Janece Shaffer. And the film’s concept feels very ripped from today’s headlines. “It’s about a 17-year-old black boy who makes one bad decision and is looking at, potentially, his life being thrown away forever,” Lewis Lee says while sitting in a Park City gallery, one of the many spaces that brands have taken over for the duration of the festival. “For me, I have children and I have a boy, and when I read the book I was so moved. It’s so creatively written … I fell in love with it. This was a chance to tell a story that we don’t often see on film. Toward the back of the gallery space is a makeshift photo studio, and people like director Anthony Hemingway are coming in for portraits. This year, the festival has a record 39 projects that either feature black people as the first, second or third lead, or has a black director, black producers or black writers. This is a moment, and everyone here is buzzing about it. 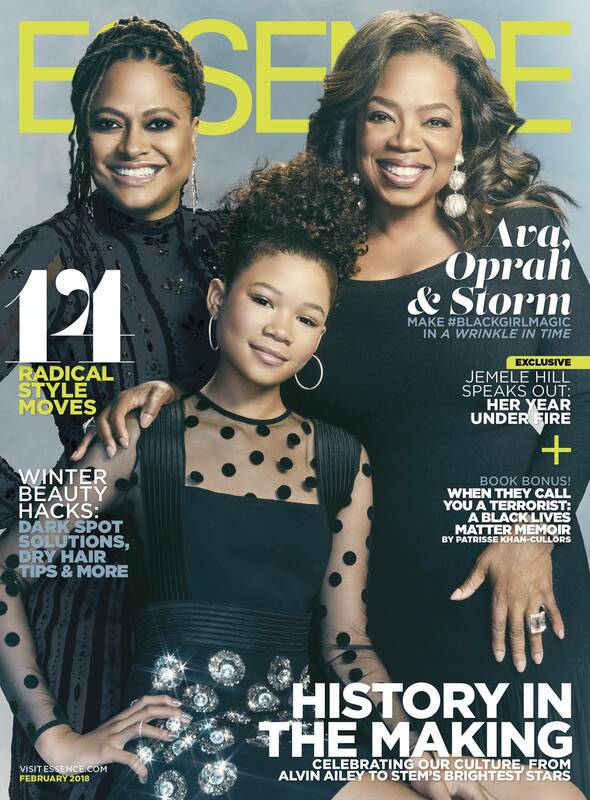 Lewis Lee, who is married to iconic director Spike Lee, is happy that there’s much to celebrate in Black Hollywood these days. But, she cautions, there’s still so much more work to do. “When Spike started making movies, there weren’t that many people out there doing it. To his credit, he was like if I’m getting through the door, I’m bringing a whole lot of people with me,” she says. “And he’s done that. And those people have brought people. So here we are now in a moment where young people can look to my husband and his colleagues and say, Oh My God! If they can do that, I can do that.” She says that people are seeing now that there is a path. Will it have the same vibe as FX’s award-winning ‘People v. O.J. Simpson’? 8:15 PMPARK CITY, UTAH — Before the start of the panel about Unsolved: The Murders of Tupac and The Notorious B.I.G., a limited series coming to USA Networks on Feb. 27, a DJ blasted tracks that made both of the legendary rappers household names. More than 20 years after the genre-lifting rappers were killed, people are still celebrating, dancing and rapping along to the music that soundtracked much of the 1990s. 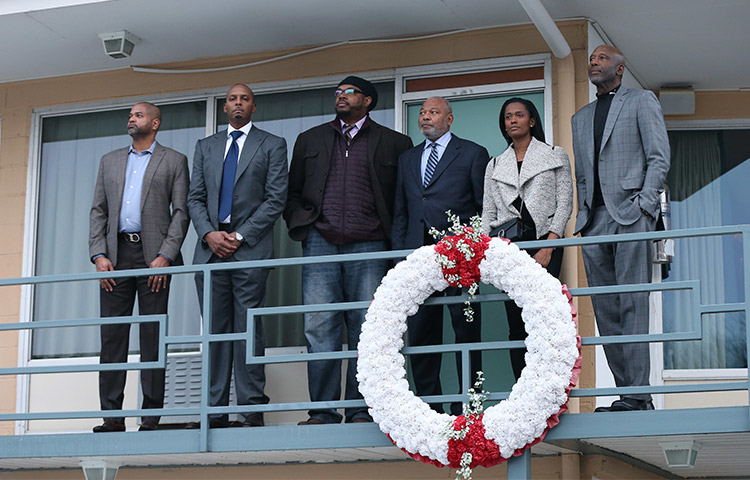 “We get to see what we’ve rarely gotten to see, which is the friendship between Biggie and Tupac,” said director and executive producer Anthony Hemingway, who shared Emmy victories for The People v. O.J. Simpson: American Crime Story. Also on the panel was showrunner Kyle Long, co-producer/music supervisor Lyah Leflore, Josh Duhamel (L.A. to Vegas, Call of Duty WWII) Marcc Rose (Tupac) and Wavyy Jonez (Big). Jeffrey Wright and Jennifer Hudson appear in ‘Monster’ by Anthony Mandler. 6:35 PMPARK CITY, UTAH — At a Saturday afternoon panel discussion, Blackhouse Foundation leader Brickson Diamond touted the record 39 black projects being featured at this year’s Sundance Film Festival. Behind him, John Legend, Tonya Lewis Lee and moderator Jason George (Grey’s Anatomy; chair of SAG-AFTRA’s Diversity Advisory Committee) applauded along with the standing-room-only crowd — which included black-ish creator and Girls Trip co-writer Kenya Barris. This was a moment. Never have so many black projects been a part of the film festival. This specific panel was set to discuss the hotly anticipated film Monster. Based on Walter Dean Myers’ award-winning novel of the same name, the film is about a creatively gifted black teen who is accused of a crime he says he did not commit — and who endures an unrelenting criminal justice system. Lewis Lee and Nikki Silver produced. “We were looking for partners who were invested in social justice issues. … [That] led us to John Legend,” Lewis Lee said of the Grammy-, Tony- and Oscar-winning Legend. Monster’s ensemble cast includes Kelvin Harrison Jr. (The Birth of A Nation), Academy Award winner Jennifer Hudson (Dreamgirls), John David Washington (Ballers), Jeffrey Wright (The Hunger Games: Mockingjay), Jennifer Ehle (Zero Dark Thirty), A$AP Rocky (Dope), Nas (The Get Down) and Tim Blake Nelson (Fantastic Four). Other panelists included director Anthony Mandler, writer Cole Wiley, Silver, Mike Jackson, Aaron L. Gilbert and Kelvin Harrison Jr., the film’s star. 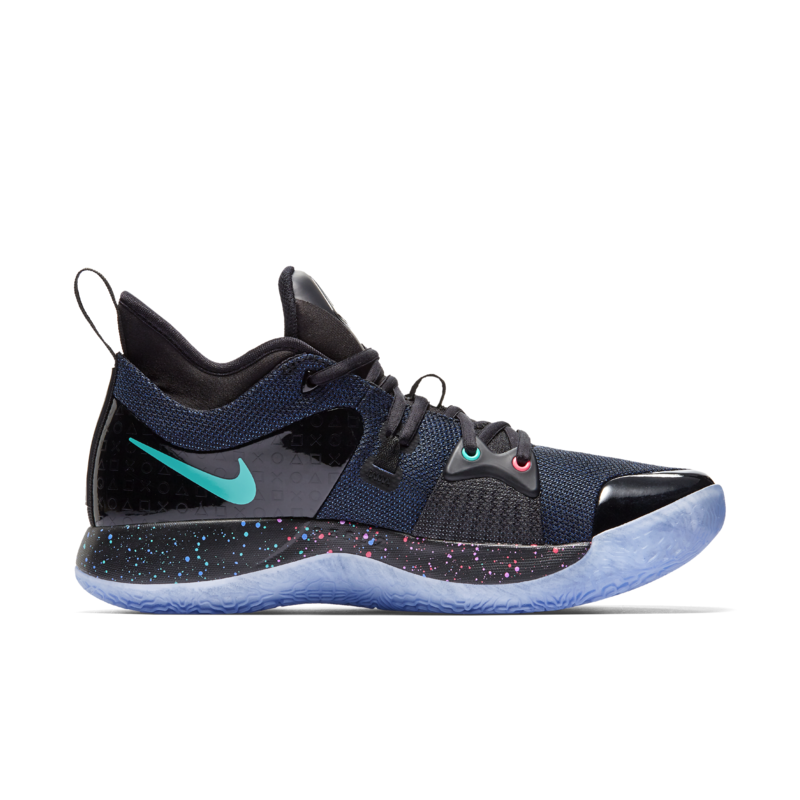 3:29 PMNike just delivered a PG-13 sequel. Nearly a year after presenting Paul George with his first signature sneaker — the PG1, which he donned on the court for the first time on Jan. 12, 2017 — the brand is back with the Nike PG2. On Saturday, George, the Oklahoma City Thunder’s 27-year-old star swingman, unveiled his new kicks in a matchup against LeBron James and the Cleveland Cavaliers. 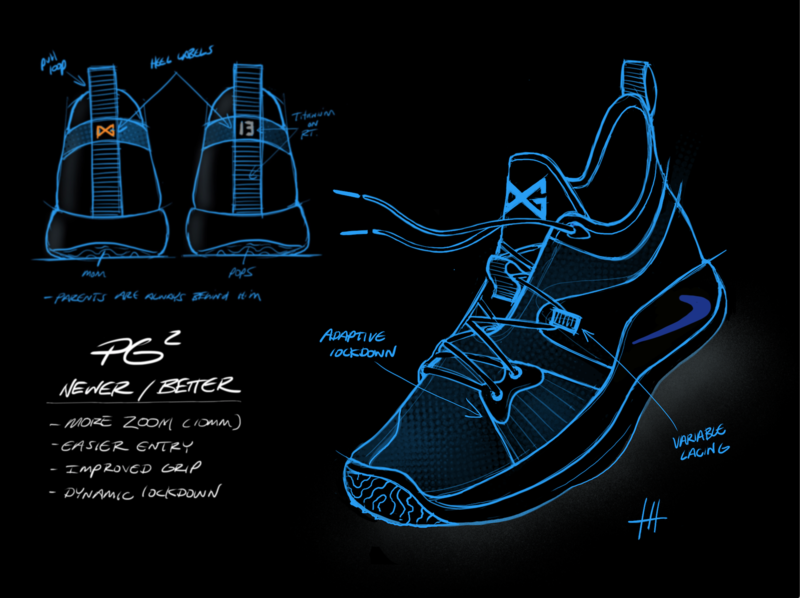 The PG2 features an improved overall fit through a more traditional tongue construction than what was used on the PG1, as well as new technology developed by Hardman in the form of “dynamic wings” on the shoe’s forefront. 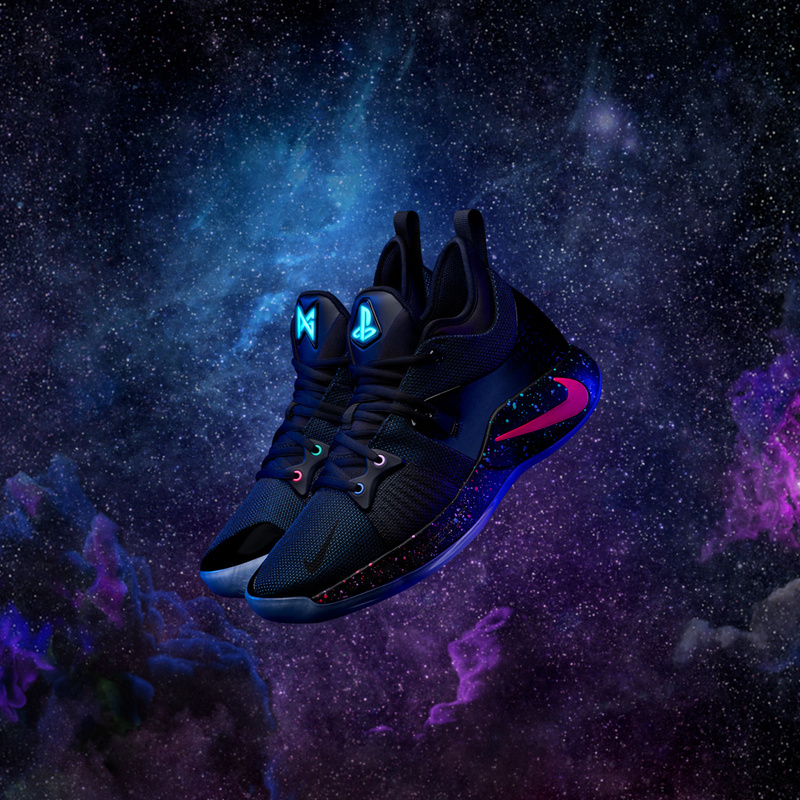 The launch color highlights George’s persona as an avid video gamer, with specific design elements nodding to Playstation, his favorite console, reflected throughout the shoe, including a light-up tongue. 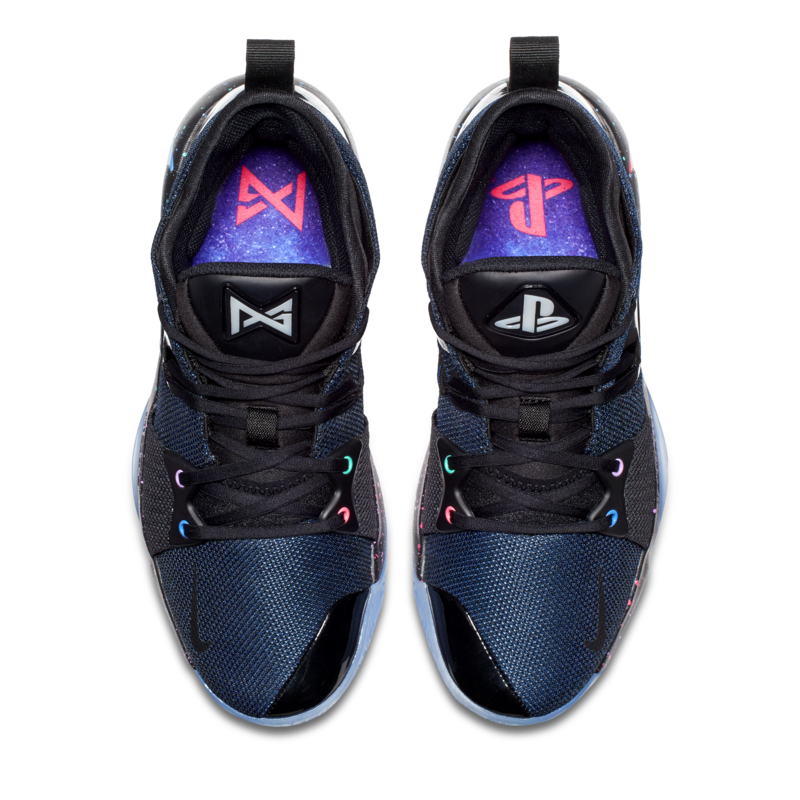 The limited-edition PlayStation colorway of the Nike PG2 will be available at retail on Feb. 10. 2010 was when I lost my halo/ 2017, I lost a J-Lo / A-Rod a damn trip, had me on front page though/ I had to lay low. Call Drake a man of his word. The final lyrics on 2017’s More Life set the stage for this very moment. Maybe getting back to my regular life will humble me, Drake rhymes on “Do Not Disturb.” I’ll be back 2018 to give you the summary … More Life. And that’s exactly what happened. With the pre-midnight drop of two new songs, “God’s Plan” and “Diplomatic Immunity,” Drake’s musical sabbatical is coming to a close. The two-song project is dubbed Scary Hours, and the records are, in fact, his first official solo releases since last year’s Life. The lone exception is “Signs,” which even then was a record created specifically for Louis Vuitton’s Spring-Summer ’18 collection. What these records signify, only Drake and the OVO conglomerate truly know. But in the near decade since his third mixtape, So Far Gone, made him a household name, one reality has always remained steady: The guy does nothing without a purpose. And with the Grammys set for next weekend in New York City, best believe the timing isn’t a coincidence. Drake’s been musically quiet for a while now — it could be that he wants his spot back. 3:31 PMAuburn on Friday introduced Allen Greene as the university’s 15th athletic director, making him the first African-American AD in school history and the third ever in the Southeastern Conference. Greene, 40, served in the same role at the University at Buffalo since 2015 and worked in the athletic department at Ole Miss from 2009-12. He joins Vanderbilt’s David Williams II and former Georgia athletic director Damon Evans as the only black ADs in SEC history. Outside of the Big 12, which has zero, each Power 5 conference has at least two black athletic directors. These 12 men and women represent 18.4 percent of the 65 athletic director jobs in the Power 5. The numbers are not set in stone. California’s H. Michael Williams plans to step down from his position in May. Evans, serving on an interim basis at Maryland since October, may replace an outgoing black athletic director (Kevin Anderson), much like Carla Williams did at Virginia (Craig Littlepage). 9:26 AMSwae Lee, one half of the award-winning duo Rae Sremmurd, let the cat out the bag on Twitter shortly after midnight. His solo album, Swaecation, is on the way and will be arriving very soon. Swae Lee’s announcement winds up a very productive 2017 for both him and his partner-in-rhyme, Slim Jxmmi. They are currently the official narrators of the NFL playoffs, with 12 different ads airing nationally on TV and the web. Swae continues to reap the benefits of well-placed musical drops too. His standout appearance on Jhene Aiko’s “Sativa” only whet fans’ appetites for more. His definitive moment came with a feature on French Montana’s international hit “Unforgettable“—undeniably one of last year’s best songs, with over half a billion YouTube views. With a catalog that includes his own hit records and songs he’s written for other artists — like Beyoncé’s “Formation,” for example — this is a hugely anticipated project. But Swaecation doesn’t spell the end of Rae Sremmurd. SremmLife3 is in production, as Swae confirms. He’s releasing his album just ahead of festival season, though, and with Migos’ Culture II on the way, fests, day parties, cookouts and kickbacks are already heating up.